2018 Irish AeroPress Championship - What exactly is the AeroPress Championship? The Irish AeroPress Championship is just seven days away! In the lead up, we will be posting a new blog post and newsletter every evening, with each article dedicated to the competition and what makes it so great! Read below to learn all about what exactly the competition is and how it came about. What exactly is the AeroPress and what warrants it having its own competition? 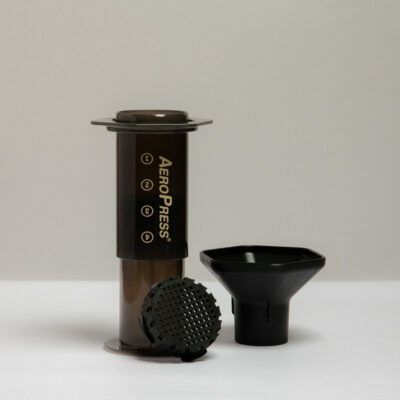 Well, the humble AeroPress was invented in 2005 by Aerobie president Alan Adler, you know, the guy who invented the Aerobie Frisbee. At just seven ounces in weight, and only about a footlong, it is the perfect travel companion, but can also be used to make delicious coffee, with a wide range of brewing styles and recipes that can yield amazing and totally unique results. It is now a common household object that can be found in kitchens and offices across the world and its simple design allows it to be used by complete beginners to coffee professionals on a daily basis. 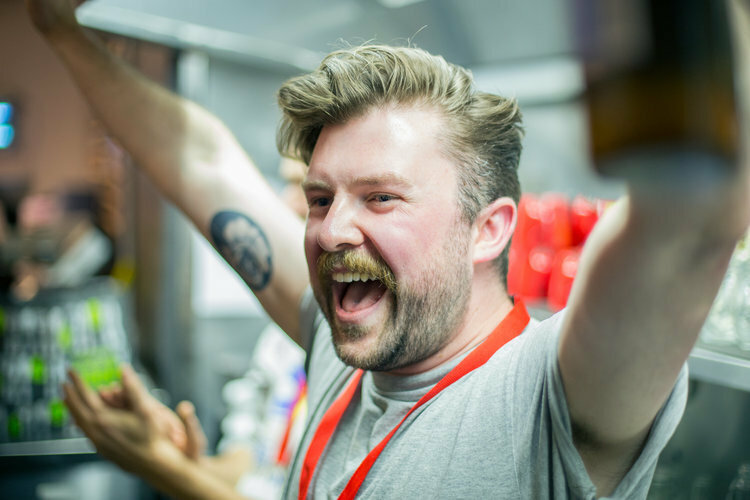 So how did this simple home brewer end up with a hugely anticipated yearly competition, attracting contestants and fans from all over the world? 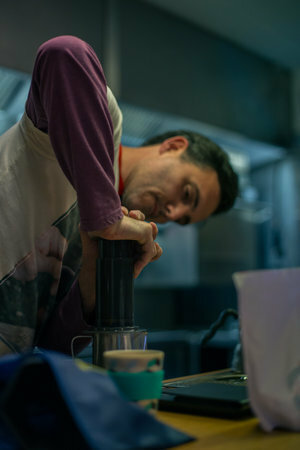 The AeroPress Championship is an independent competition, that began in 2008 in Tim Wendelboe's coffee bar in Oslo, along side fellow coffee professional, Tim Varney. 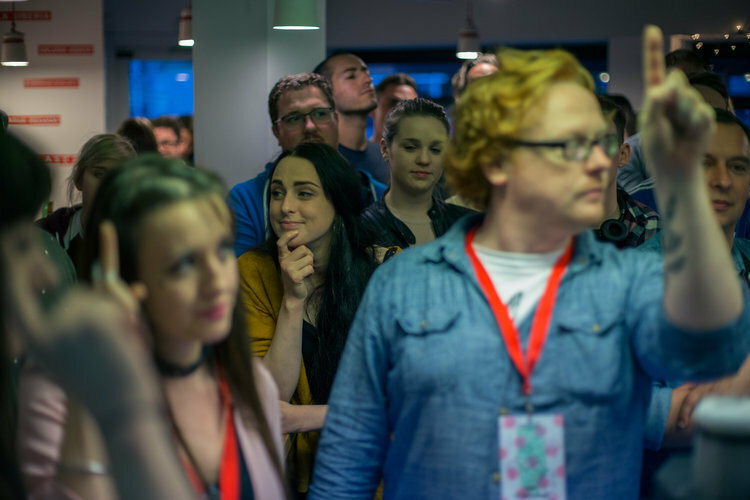 At the time, it was just organised as a bit of fun, almost mocking the rigid nature of other coffee competitions; The contestants drank lots of booze, brewed lots of delicious coffee, a winner was picked and everyone had a great time. 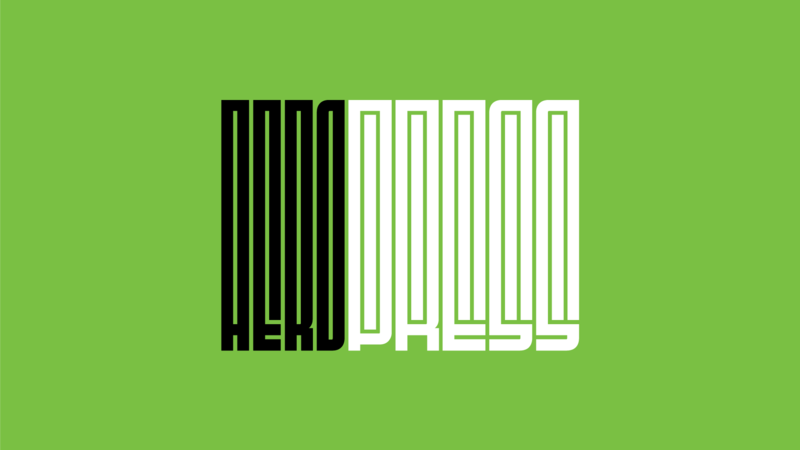 Since then, the competition has grown tremendously, developing a national championship circuit, run by independent hosts across 60 countries, which culminates with the World AeroPress Championship Final. It has gained a huge following along the way, but the ethos remains the same. One aspect which makes the AeroPress Championship unique is that although participants are serious about winning, the whole event is encapsulated in fun and having a good time! Fans are encouraged to shout and cheer for their favourite brewer and good music, tasty food and beer are integral. There is no criteria to enter or daunting scoresheets to worry about. Judges determine a winner on the count of a three finger point. "Which cup would you like to drink again?" ... One, Two, Three, Point! It is a great transition into competition for new baristas who don't fancy standing in front of a room full of people and reciting a fifteen minute performance and a great homage to the AeroPress. This time last year, we hosted the Irish AeroPress Championship 2017 in our Grand Canal Street Cafe for the first time. Somehow, we managed to bundle over one hundred people into our cafe for a seriously great night of food, drink, music and AeroPress, with winner Stephen McCabe going on to represent Ireland in the World AeroPress Championship. We were so delighted to be asked by the World AeroPress Team to host the Irish competition again this year and decided to host the championship in our roastery, which will give us an opportunity to host more guests, get up to more hi-jinx and hopefully blow last years competition out of the water! This day next week, 24 contestants from all over Ireland will be travelling to our roastery to compete, with the winner being deemed the Irish AeroPress Champion 2018. We are looking forward to a great night, full of laughs, great music, delicious beer, prizes and giveaways, lovely food and of course, for the Irish AeroPress Champion to be chosen. The winner will not only win the coveted Golden AeroPress Trophy, but will also get the opportunity to travel to Sydney, Australia, to represent Ireland in the World AeroPress Championship. We hope to see many of you there to compete or cheer on the participants!